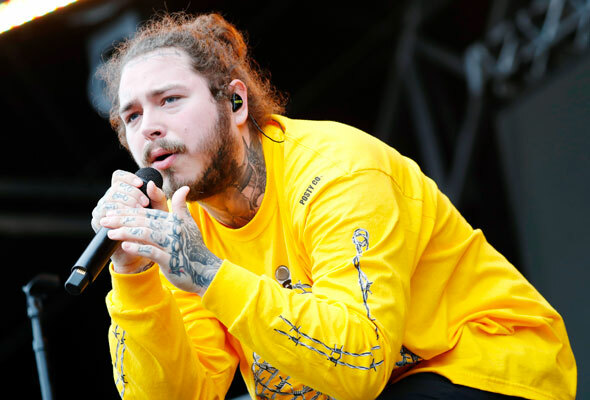 American rapper and singer-songwriter Post Malone is the fourth and final artist announced to perform at the 2018 Yasalam After-Race Concerts. The record-breaking star will open the show on Thursday November 22. A relative newcomer to the rap scene, Post Malone began his career in 2015, with the release of his debut single White Iverson. The songs popularity on YouTube saw him secure a recording contract with Republic Records, where Malone went on to work with rappers including 50 Cent and Kanye West. The versatile star is known for his unique sound of country fused with hip-hop and R&B and released his first album Stoney in December 2016. The album went on to break Michael Jackson’s 34-year-old record for most weeks on Billboard‘s Top R&B and Hip-Hop Albums chart at a staggering 77 weeks. Jackson’s Thriller remained there for 76 weeks. His second album Beerbongs and Bentleys was released in April 2018, and broke Spotify’s first day streaming records with 78.7 million worldwide streams. The album spawned three top 10 hits, including a collaboration with American rapper Ty Dollar Sign. Malone joins the already announced urban star The Weeknd, who will perform on Friday November 23, Brit popstar Sam Smith, who is confirmed for Saturday November 24, and legendary rockers Guns N’ Roses, who will close the show on Sunday November 25. Abu Dhabi Grand Prix ticket holders can enjoy access to all four concerts included in the price of their ticket, with upgrades available to the prime view Golden Circle area from Dhs195. This year, an additional 1000 tickets for the Abu Dhabi Hill have been released just for UAE residents. Priced at Dhs995, the three-day ticket is a great spot to watch the race and the Yasalm After-Race Concerts.